Many companies utilize employee-provided vehicles to some degree or another in order to meet their needs for the transport of people, goods, or services. Employees who operate their vehicles for business use are compensated under either taxable or non-taxable reimbursement plans, but employers and employees often overlook differences in tax consequences between the two types of reimbursement methods. Well-run organizations integrate both employer- provided and employee-provided vehicles into their fleet program as part of their vehicle allocation methodology (VAM). 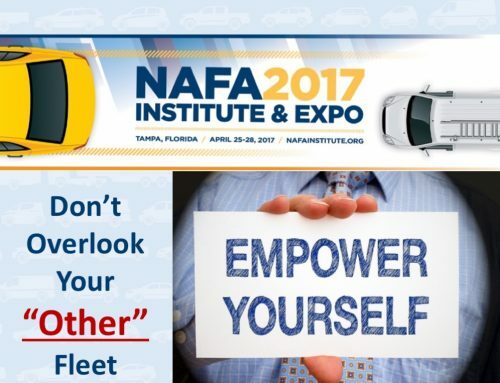 The fleet manager should have authority over both programs in order to properly control costs and to successfully provide fair, safe, and equitable transportation for all employees. 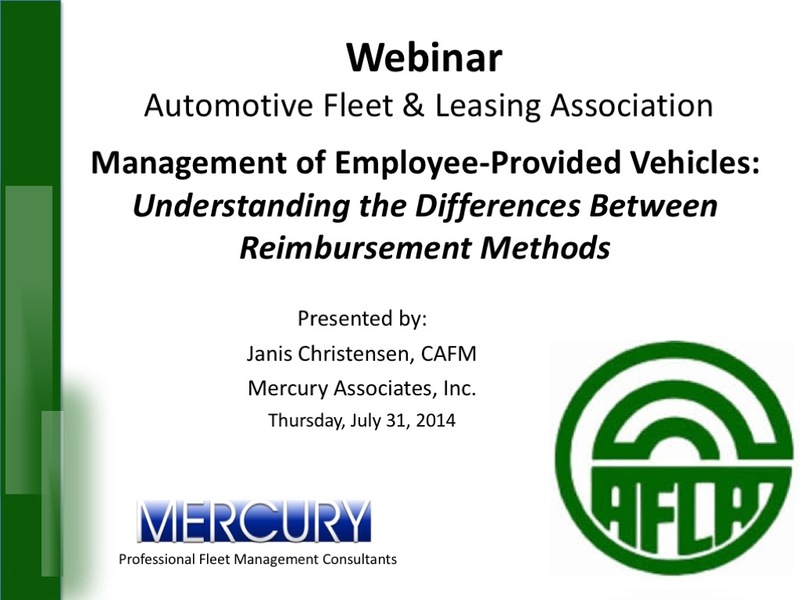 Rather than focus on the pros and cons between the different means of providing business transportation, this presentation reviews the importance of understanding the differences between taxable and non-taxable business reimbursement plans for use of POVs.